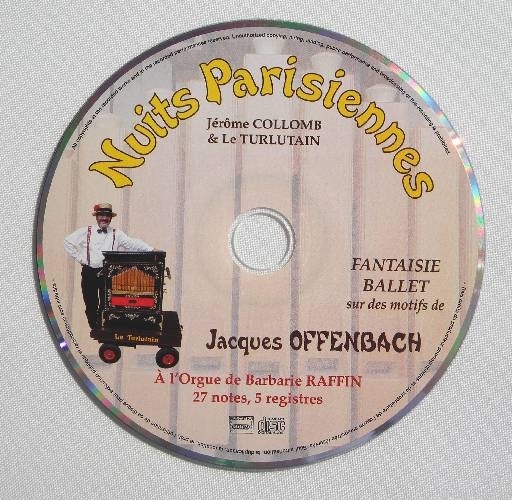 Everyone knows Jacques Offenbach, at least for his most famous piece of music, the Cancan. 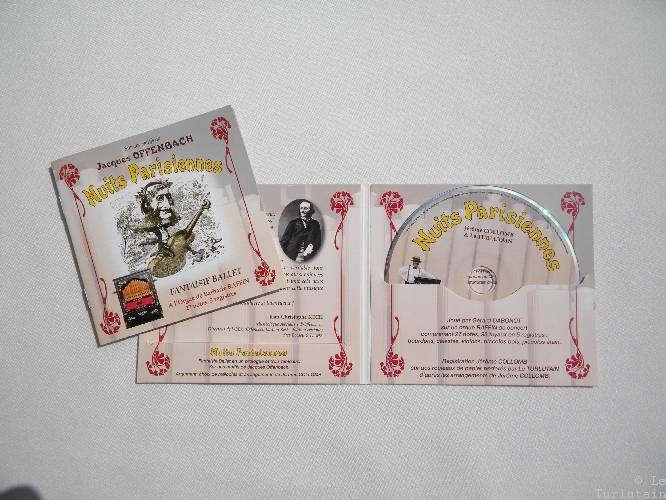 Everyone has also a piece of predelection, but on this record you may discover other aspects of the great composer, a variety of very different and sometimes less frequently performed musical themes. This fantasy ballet evokes a beautiful love story, the music brings back the atmosphere of 19th century ball-nights where actors and students, officers and other young people encounter each other. The variations of the themes reflect their changing relationships. The instrument allows for a differentiated interpretation of the original themes, due to the excellent arrangements and a judicious choice of the organ's registers, approaching thereby the sound of an authentic orchestra. Nuits Parisiennes : Why would we play Offenbach on a Barrel-Organ ? 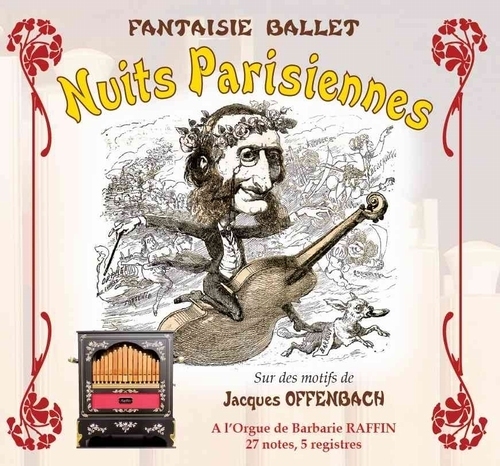 In 1938 the opera of Monte Carlo asked the composer Manuel Rosenthal to create a ballet of 40 minutes with themes inspired by the music of Jacques Offenbach. He called it Gaîté Parisienne. Since then this ballet has become a famous piece of music and part of the repertoire of many orchestras. 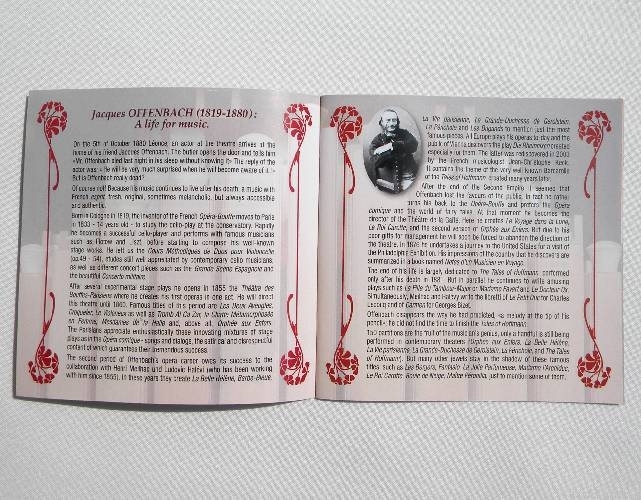 Jerôme Collomb, a fervent admirer of Offenbach and who simultaneously is very fond of mechanical music began some time ago to adapt the music of his favourite composer for barrel-organs and music boxes. After the overture to Coscoletto, an opera the libretto of which he transposed in French, a few quadrilles (Bagatelle) and polkas (L’Ile de Tulipatan) for organs with a 27-note scale, and a Waltz from The Tales of Hoffmann for a Polyphon-Musicbox, he decided to arrange popular tunes from Gaité Parisienne. 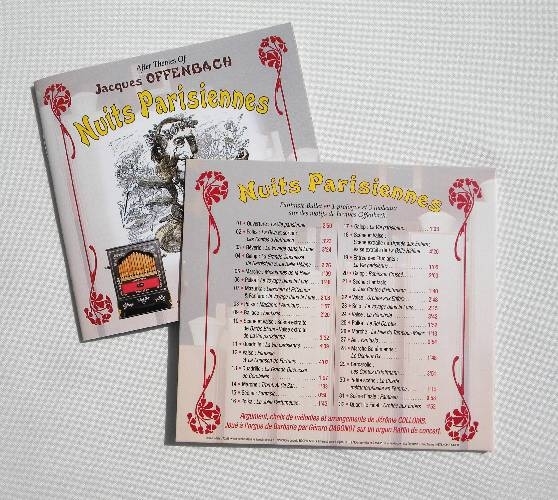 But the choice had it’s difficulties - during his research he discovers other interesting although less well known melodies and themes - and finally he comes up with a new project, Nuits Parisiennes. When he presents several samples of his arrangements to Gérard Dabonot he, as well as other friends of mechanical music, are enthusiastic about the result. In collaboration with the company Le Turlutain more than 250 m of punched paper-rolls are produced for organs with the popular French 27-note scale. 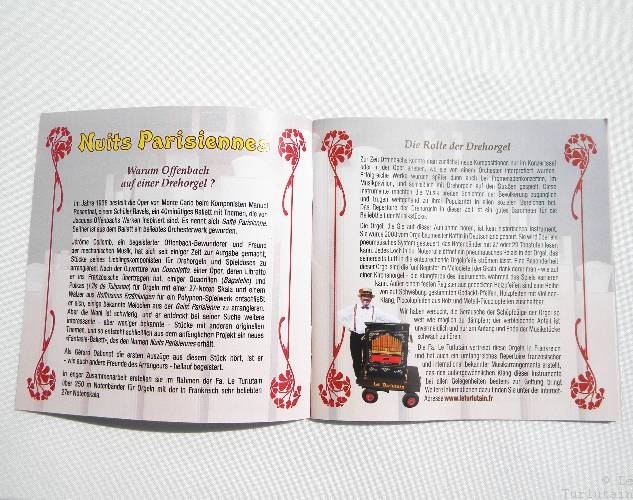 The instrument that plays on this record has been built in 2003 in the German organ-factory Raffin. Its pneumatic system reads 27/29 scale paper-rolls. The organ is equipped with 5 manual registers in the melody part allowing for variations of the sound of the instrument. Combinations of the bourdon, violin, and piccolo registers lead to a wide variety of rich sounds on this organ particularly suitable for concert music.